Emily Sohn, science writer for the Discovery News Online Blog, covered the research of bioarcheologist Catarina Whitley on King Henry VIII. Whitley, who completed her research at SMU and now works for the Museum of New Mexico, asserts that the former British monarch could have had a rare blood type that caused reproductive issues, as well as major physical and mental illness. 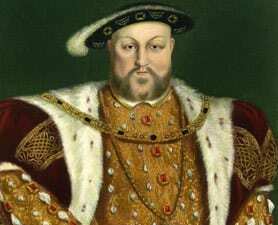 Blood group incompatibility and a genetic condition could explain Henry VIII's reproductive woes and his dramatic mid-life transformation into a physically and mentally-impaired tyrant, says new SMU research by bioarchaeologist Catrina Banks Whitley.